Susan Light focuses her practice on financial services regulatory matters. 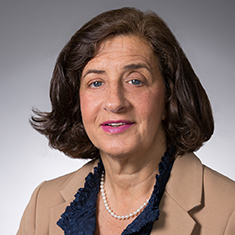 She counsels broker-dealers, hedge funds, investment banks and financial services clients on enforcement issues involving the Securities and Exchange Commission (SEC), Financial Industry Regulatory Authority (FINRA), other self-regulatory organizations (SROs) and state and federal regulatory authorities. She has particular experience related to sales practice issues, financial and operational issues, anti-money laundering, crowdfunding, cybersecurity, and cryptocurrencies. Previously, Sue was a senior vice president and chief counsel of Enforcement for FINRA, where she supervised all aspects of regulatory investigations, negotiations, settlements and disciplinary hearings concerning a wide variety of FINRA rules and federal securities laws. Prior to its merger with FINRA, she served in a similar role with NYSE Regulation, Inc. and helped lead the integration of the two enforcement departments. Earlier, Sue was a trial attorney in the Office of the District Attorney for Bronx County, New York. Sue is a frequent speaker on regulatory and compliance topics for broker-dealer and securities conferences. She also advises several professional journals on securities industry topics. Shown below is a selection of Susan’s engagements. Partner with SEC Enforcement on dozens of global settlements involving microcap fraud, subprime, mutual fund revenue sharing, fee-based compensation, prearranged trading, and reverse convertibles. Partner with US Attorneys’ offices on investigations and prosecutions involving subprime fraud, specialist interpositioning and Ponzi schemes. Partner with state financial regulators such as New York, New Jersey, Massachusetts, Connecticut, Arizona, Alabama, North Carolina, Kentucky and NASAA on investigations into sales practice abuses, after-hours trading and mutual fund market timing. Partner with the Municipal Securities Rulemaking Board (MSRB) on investigations involving minimum denomination transactions, political contributions, bribery and municipal short positions. Partner with the IRS on investigations into improper tax dividends granted to offshore clients through complex stock loan and swap transactions, inaccurate allocation of partnership profits, and issuance of false W-2s. Lead FINRA enforcement actions in large fine settlements and high-profile disciplinary actions concerning net capital, customer protection and financial reporting; fraud, anti-money laundering and the Bank Secrecy Act; prospectus delivery and reporting; subprime assets; complex products such as leveraged ETFs, reverse convertibles and Puerto Rico bonds; trading-ahead violations; supervision of consolidated reports; and minimum contingency offerings, private placements and research reports. Management of FINRA Enforcement sales practice investigations, litigations and appeals performed under contract for NYSE, Nasdaq, Cboe and other Exchanges. Partner with foreign regulators on cross-national Ponzi schemes and instructed other foreign regulators on implementing a securities regulation enforcement program.